As everything has its own pros and cons, the 2018 Cairo International Book Fair (CIBF) succeeded to attract about five million visitors to its reachable location. However, there had always been concerns about the traffic jams and unorganized booths. The announcement made by the Ministry of Culture that 50th edition of the CIBF would move to New Cairo frustrated many readers, writers, publishers and vendors. The distant location somehow affected the turnout, as the number of the fair’s visitors so far has reached only one million, according to CIBF Chairman Haitham Al Hajj. 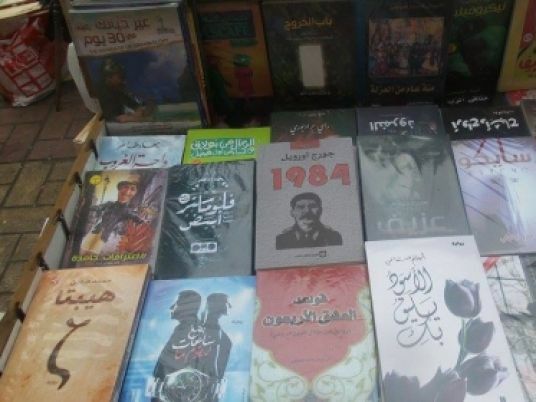 Egyptian novelist Ahmed Salama told Egypt Independent that writers and publishers were disappointed due to the ministry’s decision, as it would create an obstacle in the reader’s way to the book fair. Salama added that writers were confused why the government would move such a momentous cultural event located in front of a metro station to a new distant location. According to some privileges in the relocation of the fair’s place, you will realize that it is an effective attempt to avoid prior years’ negative experiences that you may have experienced in your prior visits. The annual book fair is always known for its long queues at the entrance gates, but this year the queues almost completely disappeared due to the availability of several entrance doors and ticket windows. CIBF provides 723 exhibition halls for a total 1,274 exhibitors. Moreover, this year, the halls’ divisions have facilitated the fair’s journey for many readers, as each hall is specialized for specific genres to help whoever is targeting certain categories. It is worth noting that each hall has more than one access. One of the main purposes for the relocation of the fair is to offer spacious halls to showcase a huge variety of books. “The organization of the book fair this year strongly qualifies it to be an international fair,” said Ossama Mustafa, sales manager at the General Egyptian Book Organization (GEBO). Mustafa added that the books were well displayed this year, which made all books more visible for readers, unlike previous years. He mentioned that the organization is offering books in various fields that start from LE 1. Logistically speaking, Walid Mohamed, sales assistant at AUC Press bookstore, said that, surprisingly this year, all booths were well-prepared, which prevented any need for them to exert any efforts in constructing their own booth from scratch as they previously used to. Mohamed mentioned that several necessities were available, including chairs, bookshelves, tables and more. Additionally, Mohamed said that anyone can easily observe the positive transformation in this year’s services quality, such as the cleanliness of the bathrooms and the decency of the halls. This year’s good organization has strongly pushed many people to participate in this huge cultural event, as there are 580 volunteers from public universities who are supporting the fair this year. Mayar Ihab, a student at the Chinese Department of the Faculty of Alsun, said that she is pleased to volunteer as a sales assistant this year for the company “Beit Al Hekma for Culture Production” (House of Wisdom). “I am willing to help Beit Al Hekma to spread the Chinese culture and literature, as I believe how culturally rich and precious it is.” Ihab added that they are offering discounts up to 70 percent. There are also a wide range of restaurants, coffee shops and booths offering various goodies. A long queue was waiting for a calligrapher who customizes people names in Arabic. Al Hajj declared that the fair’s working hours will be extended on Thursday, Friday and Saturday. CIBF started January 23 and runs until February 5. Meanwhile, Hesham Taha, chairman of the privately owned transportation company Mowasalat Masr, said his company plans to participate in this year’s Cairo International Book Fair. It will allocate 32 buses to transport visitors to the fair’s location. These buses will run on two different lines: Abdel Moneim Reyad and Saraya Alkoba. The price of the bus ticket will range from LE 6-8, while there will be a 35 percent discount with the Mowasalaty card until the end of the book fair.